Join us for the Modesto Design Collective (MO.DE) monthly, first-Tuesdays "Design à la MO.DE" social gathering for architects and designers! The new Modesto Architecture & Design Week (MADWEEK) celebrates architecture and design as both an art and a science, and the value of architects and designers in creating more livable and beautiful communities. MADWEEK 2018 includes more than 30 events, including tours, exhibits, films, workshops, speakers, kids activities, workshops and other events with a variety of community partners. Joins us for the Modesto Architecture & Design (MAD) Week, September 16-22, 2018! Modesto is MAD about design! The Bauhaus school of design in Germany was THE most iconic and influential design school and movement of the 20th century. We therefore can't think of a better place to gather as designers in Modesto - the Bauhaus. Owner and chef Tye Bauer will welcome us and share the story and vision of Bauhaus (Modesto). Tye is whipping up a true Bauhaus (Germany)-inspired menu for the MO.DE community: from German beer sausage to sauerkraut and pickled items, cheese, pickled herring, pastrami pretzels, and for sure German-style beer on tap! Willkommen Designer und Architekten am Neuen Bauhaus! 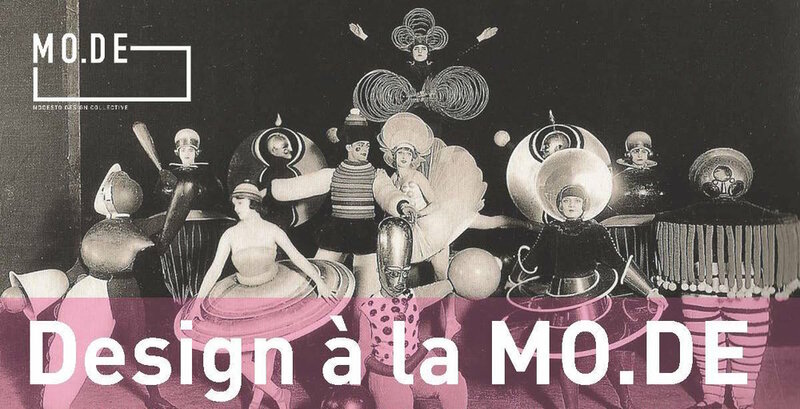 Lee Davis, Founder of the Modesto Design Collective (MODE) and design curator for Modesto Art Museum will share highlights from research into the history and heritage of design in Modesto from the mid 1800s to present day. The Modesto Design Collective (MO.DE) is delighted to collaborate with AIA Sierra Valley and the Modesto Art Museum to co-host the Architecture & Design Film Night as a part of the 10th Modesto Architecture Festival. Join us at the State Theatre for a fun evening with a remarkable selection of short films on architecture, design, landscape, and urban design (and for a welcome reception and after party in the lobby of the theatre immediately before and after the program of films). Lee Davis, Founder of the Modesto Design Collective (MODE) and design curator at the Modesto Art Museum, will deliver the keynote address at the American Institute of Architects (AIA) Sierra Valley Chapter Design Awards Gala. Private event for AIA Sierra Valley Chapter members only. Join us for a fun evening of food, wine, music and networking with fellow Modesto-area designers of all creative disciplines! launch the Modesto Design School to support local creative talent and to demonstrate the value of design in business, education, government and social sector innovation.